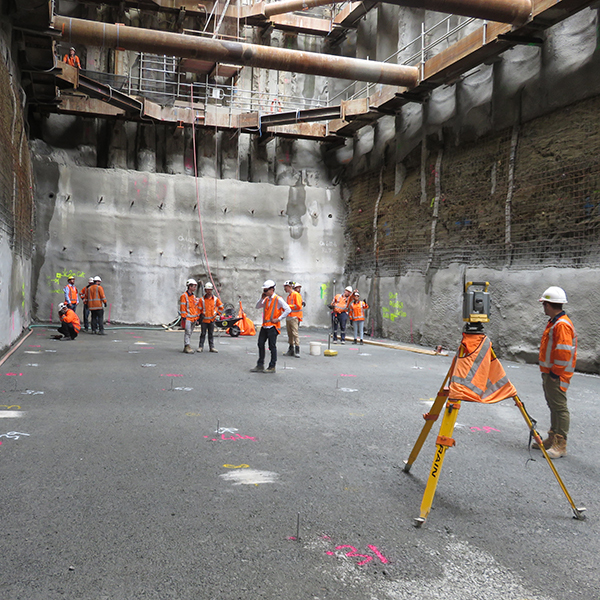 The Downer-led joint venture (Downer NZ and Soletanche Bachy) was chosen to progress the CRL work through and under Britomart Station and Queen Street to the Downtown Shopping Centre site. The contract included establishing temporary accommodation for Britomart Station’s ticketing and customer service operations, underpinning the historic former Chief Post Office building, to allow the construction of the rail tunnels beneath and reinstating Britomart Station and upgrading urban space and surrounding roads. Contract 1 commenced during July 2016 with construction of the temporary station concourse and accommodation facility. 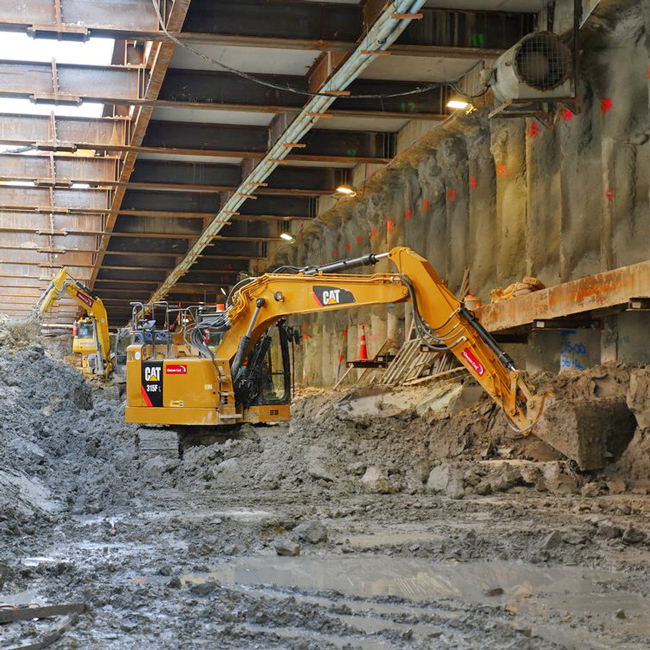 In addition, this image gallery section contains images of the portion of the tunnels being built by Fletchers through Precinct's downtown Commercial Bay development. 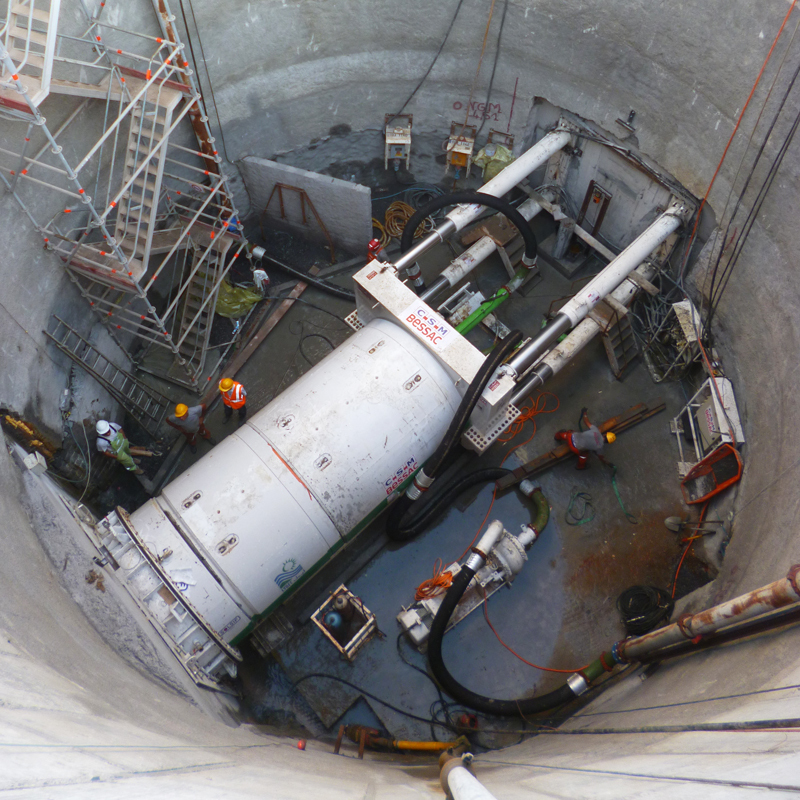 The main body of work under Construction Contract 2 by Connectus (McConnell Dowell and Downer JV) is the construction of twin cut and cover tunnels along Albert Street from Customs Street to Wyndham Street. Early work in Construction Contract 2 included pipe jacking a new stormwater main along the eastern side of Albert Street, between Swanson and Wellesley Streets and strengthening of the Orakei Sewer Main across Albert Street. 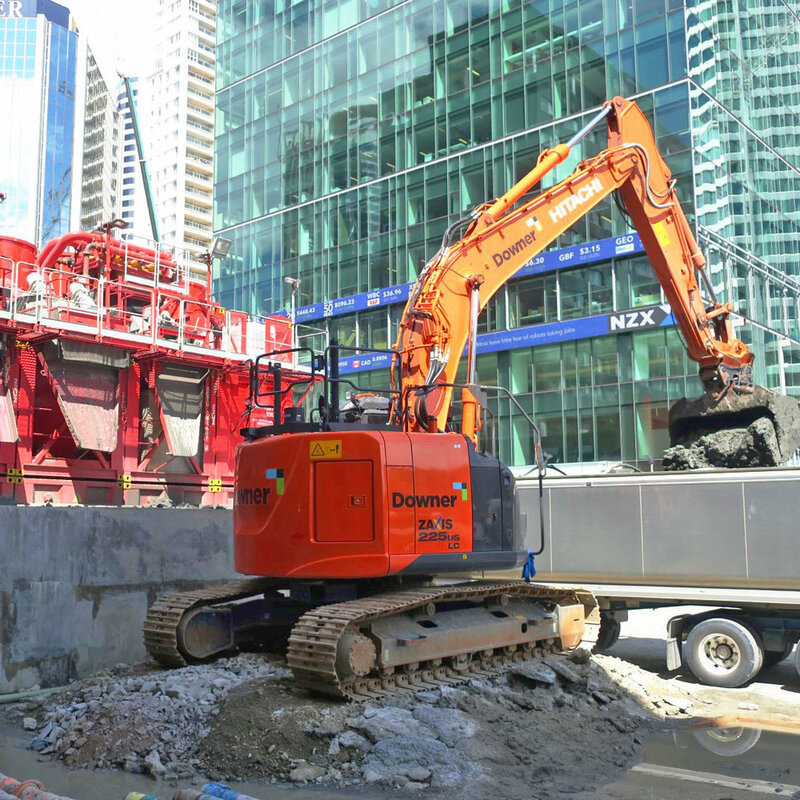 To enable the pipe jack and cut and cover tunnel works, the diversion or relocation of many essential utility services along Albert, Victoria, Swanson and Wellesley Streets was required. This included stormwater pipes, electricity supply cables, telecommunications cables, gas pipes, sewer pipes and any other service conduit that needs to be safely relocated. Utility diversion was a significant body of work which commenced during December 2015. Pipe jacking and cut & cover tunnel construction began during Quarter 4, 2016. 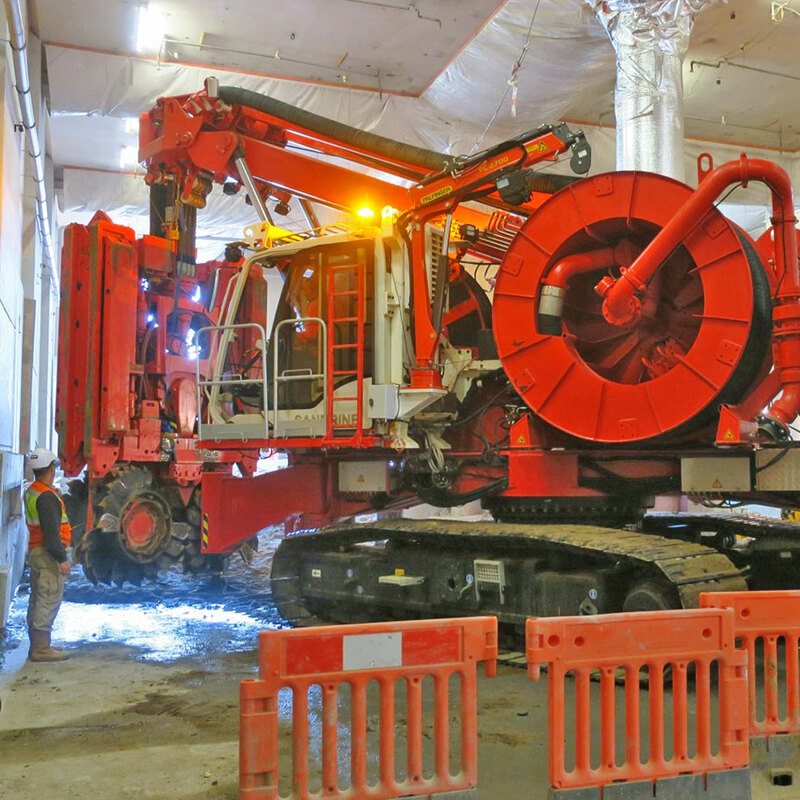 As part of CRL Construction Contract 1, the Britomart Transport Centre, situated within the former Central Post Office, was decommissioned to enable CRL tunnel portals to be constructed below. The current 'dead end' at Britomart will be superseded by east and west bound tunnels, completing the current rail network. The CPO Building was designed by Claude Paton and government architect John Campbell and originally opened in 1912. As part of CRL works the CPO will be fully restored and reinstated to its former glory.